I’m happy to share a new interview with all of you today. This time, I was featured at The Horror Herald. I had fun answering these questions, and I hope reading this interview will give you deeper insights into Deadmarsh Fey, Corcitura, my writing process and inspirations, and several other topics! 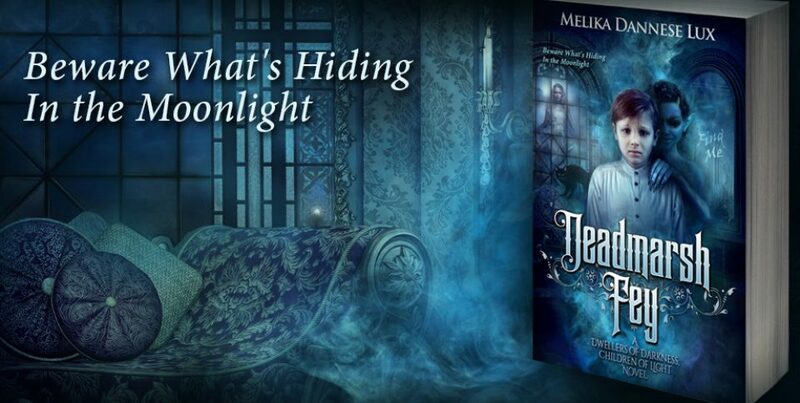 Though not a traditional horror author per se, Melika Dannese Lux has written what I could consider a rather horrifying fantasy tale set in 19th century England. I was fortunate enough to be given a copy of this book, Deadmarsh Fey, in exchange for an honest review. Featuring a young protagonist, an ominous house, ancient evils, and more than a few blood-soaked scenes, Deadmarsh Fey is sort of a mash up of Victorian horror and dark fantasy, but it’s a hybrid that totally works. On top of providing a review copy of the book, Ms. Lux was kind enough to set aside some time for an interview (the first for this site!). Now that I’ve finished it, I can honestly say that I’ve never read anything quite like Deadmarsh Fey Where did the inspiration for this tale come from? Deadmarsh Fey is a prequel to a fantasy trilogy (originally a duology) I began writing in 2003. That set of books takes place 40 odd years later, and features several characters from Deadmarsh Fey, along with a heavy dose of intrigue and peril as a result of what happened in these prequel books…which I hadn’t even written yet! Wanting to know exactly why things had turned out the way they had, what had led the characters to this point and made them who they were, was too insistent of an idea to ignore, and Deadmarsh Fey is the result of this curiosity finally being satisfied. I was also incredibly inspired by the works of Arthur Machen, an author I’d first encountered in 2007 after reading his disturbing yet fascinating short novel The Great God Pan. Once read, it is impossible to forget, but I never delved into any more of Arthur’s stories till many years later, quite accidentally, but at precisely the time I needed to most. As I discovered, he seemed to view the fey (faeries) as dangerous and lethal beings you should never trust or turn your back upon if you wanted to live. That was how I’d always imagined they truly were, so I felt I’d found a kindred spirit in Arthur, and validation for my own theories about the fey, when I read The White People and Other Weird Stories in the spring of 2013. I see this moment as the catalyst for my ideas about Deadmarsh Fey starting to coalesce—and my excitement level for the book shooting up into the stratosphere. It would be less than a year after reading this collection that I began writing the novel. Incidentally, as an homage to Arthur, I named Havelock (Lockie) after a minor character in A Fragment of Life. Though Deadmarsh Fey could theoretically be a self-contained novel, the groundwork has been set for more adventures with Roger & co. How many more books are planned in the Dwellers of Darkness, Children of Light series? It was important to me to ensure that the story contained within Deadmarsh Fey had closure and was a complete novel, while also spooling out threads for the successive tales to come. There are three more books in Dwellers of Darkness, Children of Light. All the novels already have titles, but these are rather sensitive, so I’m holding them in reserve till I announce the publication of each book.. What I can tell you is that Roger will not appear in these others, if he appears at all, in the same way. My current project is the sequel to Deadmarsh Fey—set seven years later. Throughout Deadmarsh Fey, I mentioned the Vickers family, particularly Isobel, the youngest daughter, who is Roger’s contemporary and good friend. Near the end of the novel, Isobel’s and her family’s link to the Deadmarshes, and the beings hunting them, is hinted at, and, to a certain extent, revealed to Roger in a shocking way. What he discovers leads directly into book two, Isobel’s story, which takes place on a desolate rock called Cutwater Island. Here there be sharks, and demons of the deep. And a creature whose memory is as fathomless as its desire for revenge. Speaking of children, Deadmarsh Fey pulls no punches when it comes to describing some pretty horrific things that happen with youthful characters. Was this deliberate on your part, to give the story an added sense of peril due to the young ages? Or did it just come about naturally? Or, maybe more ominously…do you just dislike children? Yes, it was deliberate. The chief aim of the Jagged Ones is to corrupt everything the Envoys, Guardians, and Children of Light do, so it seemed only natural that the most abominable way for them to achieve their ends was through Hosting and the full horror such a process entails. And I love children, by the way, which made writing those sections in the novel very hard, but necessary, to show how truly soulless and depraved the Jagged Ones and their Master are. Deadmarsh Fey is rife with vernacular, popular culture, and historical events from that period in England’s history (with Varney the Vampire, Sweeney Todd, Spring-heeled Jack being prime pop-culture examples). Is European history something that you have experience with, or is it just something you’ve meticulously researched for the novel? 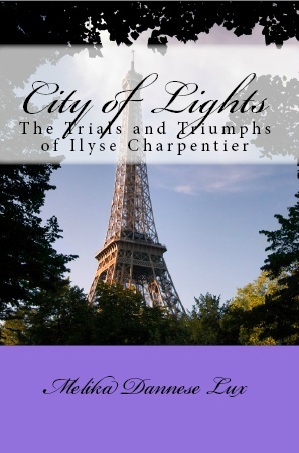 My last two novels (City of Lights: The Trials and Triumphs of Ilyse Charpentier, and Corcitura) were also set in the late 19th century, so this period in European history was one I was already quite familiar with. For Deadmarsh Fey, my main research centered on folklore, specifically that of Wales and Norway, which are the two branches of myth that color the events of this and the three remaining books in Dwellers of Darkness, Children of Light. I enjoy exploring mythology, then inventing my own legendarium for my characters. It was also imperative that the character references be authentic, which is why Bellows has a passion for Penny Dreadfuls. Even though they’re only mentioned briefly, I wanted to use those references to give a peek into his likes and dislikes, his way of thinking—and also to allow Travers an opening to get her point across by using his superstitions against him. I enjoyed writing that particular scene very much. There are many classic English names represented in Deadmarsh Fey, as well as numerous Welsh names of dubious pronounceability. And some of those names have mistranslations that tie directly into the lore. Was this something that you established before fully committing to writing the novel, or were these ideas and names that grew and evolved during the writing process? Names and their meanings have always played a huge role in my novels, but never more so than in Deadmarsh Fey. The one you referenced as having been mistranslated to tie into the lore was with me from the beginning, and actually ended up turning the story in a completely different direction by shifting the focus off the villain I had been planning to feature onto someone else entirely. The other names were there at the start, as well, specifically Coffyn…and Kip. If you pay close attention to what Coffyn says about Kip in a chapter toward the end (hint: it takes place in a library), you’ll have an inkling as to why I gave the cat that name. Deadmarsh Fey features such a large cast of characters, with incredibly rich backstories (and multiple names/monikers, depending on which faction/person is discussing said characters), that it is obvious much care was given to the crafting of each one. Even above and beyond the characters are the sheer number of events that took place even prior to the beginning of the book, let alone what actually transpires between the pages! Just how long had you been brainstorming and taking notes for this novel before actually committing it to page? I’d like to take a moment to address something I’ve heard mentioned by many readers thus far—namely that there are several characters in this novel and I should have included a list of dramatis personae. The reason I didn’t do this is because the majority of these characters have hidden identities that would have been completely exposed, to the ruination of the plot, if I’d set them down in a neat list. I believe that if readers immerse themselves fully in the book, as I did while crafting it, they won’t have a problem keeping the characters straight. I invented the Jagged Ones in 2003 when I started writing the fantasy trilogy I mentioned above. These creatures had a different name at the time, and were vile even then, but not nearly as twisted as they’d turn out to be. Yet the idea for them was there long before Deadmarsh Fey materialized. When I finally decided to begin working on Dwellers of Darkness, Children of Light, it took me quite a while to realize that Deadmarsh Fey had to come first in the series. Until that finally happened during the spring of 2014, I’d spent the previous year working on what would become the fourth book in Dwellers of Darkness, Children of Light. Writing this book first meant that I was trying to tell the end of the saga without knowing its beginning, which made for an incredibly frustrating experience. And yet I do not regret it, because what I wrote in that novel laid the foundation for all the legends and myths and conflicts in this one. So, looking back, I see that it was necessary to go through this, since without that fourth book, Deadmarsh Fey could never have been written. I feel it’s safe to say that Deadmarsh Fey really isn’t a book for casual readers. Given the level of detail in the book, I can only imagine how involved the writing process must be. That said, do you have a rough idea of when the next book in the series will be published? Hopefully sometime in 2019. I won’t have an exact publication date for a while, since the book is still being written, but by the end of this year, I will definitely have a better idea of when it should be released. 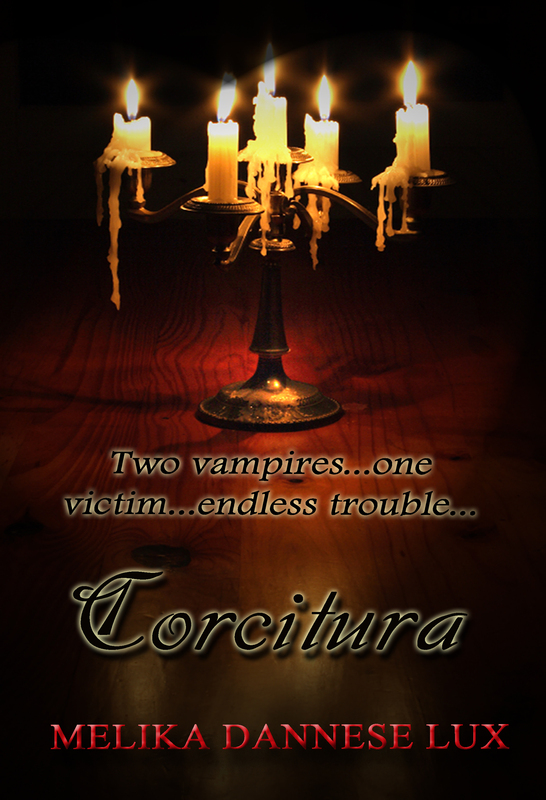 I was lucky enough to get a digital copy of your previous novel, Corcitura, for free during the Amazon giveaway. What can I expect from this book? Even though it is set during the same time period as Deadmarsh Fey, Corcitura is an entirely different reading experience. The main protagonists are older, for one thing, the action takes place across Europe (and briefly in 1890s New York) over a period of months and years, instead of days, and the book is firmly in the historical Gothic thriller genre rather than dark fantasy, though there are vampires in it—as well as a handful of human villains who are, in many ways, even more monstrous. You will also find that the vampires in this novel are definitely in the Classical tradition and would feel right at home sharing a pint or two of Sangue de Vita with Dracula or Varney or Count Orlok. In other words, they’d sooner rip out your throat than be caught undead sparkling. What begins as the adventure of a lifetime—with Eric and Stefan setting out on a Grand Tour of the Continent before becoming, as Eric phrases it, “inmates at Oxford”—soon morphs into a nightmare of duplicity and danger and death in which characters must wage a desperate fight for survival against creatures that shouldn’t even exist. And yet, as with all my novels that have supernatural beings and fantastical elements in them, at its heart, Corcitura is also a very human story. More than anything, it tells of the corruption of a soul, and how this affects all who come in contact with him. In Romanian, corcitura means “hybrid,” but as I got deeper into crafting the novel—most especially the second half of it—the word took on a greater meaning to me, no longer being just the name for a dual natured creature, but a metaphor for the duality of our own natures, of the constant battle between base motives and our higher selves. Many times throughout the book, characters, especially the ones who no longer have a pulse, are faced with a choice. Will they uphold the status quo and prove everyone who ever judged them and their kind right? Or will they go against the call of the blood and turn their backs on their very nature by deciding they will be the ones to put an end to the cycle of destruction? Some made the choices I hoped they would, while others went their own way—often to their annihilation. And then there is the Born Vampire, the child who cries blood—the boy who just might be the salvation of them all. In any form of media, villains are incredibly difficult to properly develop. So much so that it seems more difficult to write a good villain as opposed to a good hero. And it seems like your books are rather chock-full of interesting and unique villains, so you obviously have a feel for what makes a good one. What villain/antagonist from the horror/thriller genre, regardless of media, do you relate with the most, and why? I’ve never felt a kinship to a villain across any form of media, but I have always considered the Erlkönig of Goethe’s poem, and Schubert’s magnificent composition, one of the most pernicious beings ever to be encountered. Is he a true threat? Or nothing more than a hallucination, a will-o-the-wisp to be explained away—mist sighing through the trees, as the feverish boy’s father tries to convince his panicking son? This exploitation of ambiguity that results in the denial of danger is, I believe, emblematic of how evil often operates in not only the realms of fantasy and the imagination, but in our world as well. It tries to convince you that it is merely the absence of good and not a malevolent force of its own. It wants you to disbelieve the threat you see with your own eyes and become blinded to the dangers surrounding you. Once this has been achieved, if you are weak-minded enough to let it happen, “knowing thine enemy” in order to defeat it becomes impossible, for how can you when you don’t even believe evil exists? And to me, being manipulated into becoming willfully ignorant in the face of all evidence to the contrary is more terrifying than any villain of myth or legend could ever hope to be. Given that this is a horror-themed site, I have to ask at least one pure horror-themed question! What is your favorite piece of horror fiction (regardless of whether it’s a poem, short-story, or full-fledged novel)? Dracula, The Turn of the Screw, and Uncle Silas are great favorites of mine. Although it’s more psychological/suspense than horror, Wilkie Collins’s The Woman In White is another fantastic read. For something more modern, I’d pick Shirley Jackson’s The Haunting of Hill House. I reread it every few years, and it still unsettles me. Outside of writing, you are also a classically trained soprano, and have some examples of your stunning voice on your website booksinmybelfry.com. When did you first start singing, and what is your favorite classical vocal piece to sing today? I have been singing since the age of three, and began my classical training when I was fourteen. I’m very partial to German lieder (one vocal coach said my voice was made for singing it), with some of my favorites being Ständchen (Schubert’s) and Gretchen am Spinnrade, along with Mahler’s cycle, Lieder eines fahrenden Gesellen. There is also an Italian aria I am quite fond of: Una voce poco fa. It’s a showpiece, unquestionably, peppy and thrilling, with a great range and lots of embellishments—and you have to truly become Rosina, feisty and defiant attitude and all, to sell the part. It’s great fun. There seems to be a musical renaissance taking place lately, both on stage (Hamilton and The Book of Mormon being prime examples) and on screen (such as La La Land and The Greatest Showman). What recent musical experience has impacted you the most? And why has it done so? It wasn’t recent, but one of the most profound and instructive musical experiences of my life happened in London in the Spring of 2004, at a performance of Les Misérables. I don’t even remember the actor’s name, but he was playing Jean Valjean, and the pathos he instilled into that character was stunning to behold. Even after all these years, I can still remember the anguish on his face at one point when he sang, barely above a whisper, “24601.” And why I said that this was not only a profound but also instructive experience was because, speaking from a singer’s perspective, it was like attending a masterclass. I picked up so many techniques just through observation, specifically the ability to hollow your tones so as to riddle them with emotion, even when singing quietly. This is something I put into practice immediately and still do to this day. You obviously have an appreciation for the dark side of things, whether it’s the more shifty/dubious side of human nature or the gloomy and dangerous fairy tales of old. Have you always had an affinity for the darkness, or is this something that you discovered as you grew older? That is something I kept in mind when writing both Corcitura and Deadmarsh Fey, because for all their dread grandeur, in the end, it’s not really about vampires or faeries or demons or whatever other dwellers of darkness are trying to rend the earth asunder. It’s about the heroes who become a part of you, the characters you miss when the final page is turned…the people who lay everything on the line to answer the call because they believe, as a certain hobbit once said, that there’s some good left in this world—and it’s worth fighting for. And that’s that! I appreciate you taking the time to answer these thirteen (a very calculated number, thank you very much!) questions, and I look forward to reading more of your works. I wish you all the best! “What happened?” Lockie whispered, as shakily as if he didn’t trust his own voice. “You tell me,” said Roger. He kept his arms wrapped around himself, afraid he’d fall apart if he broke his hold. “Don’t tell me you’re going to trot out the old ‘this house was built on an ancient burial ground’ sham again, are you? Which evil is it this time? Celts? Druids? Take your Pict.” Roger’s lips ticked up slightly at the edges. He’d used that dreadful pun before, but it was folly to expect his cousin to laugh at it now. New Author Interview for A Book Addict’s Bookshelves! ≈ Comments Off on New Author Interview for A Book Addict’s Bookshelves! My love for writing grew out of an early love for reading. I think what led me to this point was that my mother started reading to me when I was in the womb, and my father told me wild, not-exactly-verifiable tall tales while I was still in the cradle. I can remember writing little stories and vignettes when I was a very young child and even staging my first play when I was eight years old. The budget for this theatrical extravaganza was nonexistent, which was why my family got coerced into playing about six parts each. I also remember being a bit of a tyrannical director, and shouting CUT quite a lot, but that was definitely the moment the writing bug first bit me. When I was around eleven or twelve, I wrote an incredibly short story inspired by Jurassic Park. The plot consisted of a brother and sister being chased to the edge of a cliff by a T-Rex. The kids gave the Rex the old “one-two-JUMP!” fake out, and the poor dinosaur fell for this ruse and went tumbling over the cliff. End of story—happily ever after for everyone except the Rex. But that’s neither here nor there. The point is, this story was fun! I’d actually finished something I’d set out to write! I thought it was epic, even though it was only six pages long! You have to start somewhere, right? Even though I loved writing, and had dabbled in it for practically my entire life by this point, I’d never considered turning it into a career until I read Crime and Punishment as a senior in high school. There was something masterful about that book and the way Dostoevsky was able to paint deep psychological portraits of his characters with just a few well-chosen and brilliant words that inspired me and made me seriously think about becoming a storyweaver. Well, I decided, right at that moment, and I’ve never looked back. The desire to weave stories and lose myself in other worlds. J. R. R. Tolkien, who has been a defining force and inspiration not only on my writing, but also in my life, once said that fantasy is escapist, and that is its glory. I never took this to mean that writing fantasy was a way of denying reality, or hiding yourself in invented worlds because you couldn’t face daily life in our fallen one. Quite the reverse. The concept of crafting myths and legends around very human characters who inhabited worlds that reflected the glories and evils of our own, that mirrored them in some unique yet hauntingly familiar way, fired my imagination like nothing else ever had. This is the reason I don’t write contemporary fiction. Not because I can’t, but because swathing a story in the trappings of fantasy makes the experience so much richer for me as a writer, and also, hopefully, for the reader, than it would a tale stripped of its glory set in modern times. And just because something is classified as “fantasy,” doesn’t mean it can’t be realistic. If anything, it should be more so. I have always endeavored to create characters that are human, with all our foibles and weaknesses, hopes and dreams—and longings for “home.” By home, I don’t mean a building, but a deep ache within the heart to find the place where we belong. And home, for me, at least when it comes to writing, has always been in these other worlds, where I can best use the time that has been given to me to shine a blinding light onto the darkness. Do you ever get writer’s block and what do you do to get over it? It’s strange, but my worst case of writer’s block didn’t stop me from writing. It honestly felt more like writer’s “monumental confusion,” because before I began writing Deadmarsh Fey back in 2014, I had spent a year working on what would become the fourth book in Dwellers of Darkness, Children of Light. The problem was, I was forcing that book to come first, which was why it felt so out of place and so wrong. I do have to say that even though this experience was very frustrating, writing that book laid a lot of groundwork for the backstory of the Bear, the Wolf, and the Curse that Walks the Earth—three beings featured in Deadmarsh Fey—and also for the world of Everl’aria, the land in which that fourth book is set. Incidentally, I included a teaser for this fourth book toward the end of Deadmarsh Fey and had an absolute blast doing so. It made this long and trying process feel as though it had finally come full circle. Until Deadmarsh Fey, I used to write my novels out of sequence. If I thought up a plot twist for chapter 10, I’d write that whole chapter, then piece the book together. This process probably made writing harder, yet that was how I’d always done it. But with Deadmarsh Fey…that book seized me and never let go, to the point where I had no choice but to begin at the beginning (what a novel concept!) and write straight through till the end. In regards to how I craft my stories or come up with plots, I usually start off with ideas for characters, then build a tale around them. I’m fascinated by the meanings of names, and sometimes have a bit too much fun instilling character traits that fulfill them. I don’t always do this, but there are usually aspects of a character’s personality that hearken back to what he or she has been christened. This is especially true of Trahaearn Coffyn. And that’s all I’ll say about him! Yes, I do! The book does have a title, but I’m keeping that secret and safe for now. What I can tell you is that it is the second novel in Dwellers of Darkness, Children of Light—and a sequel to Deadmarsh Fey, set seven years after the events in that story. Throughout Deadmarsh Fey, I made mention of a little girl named Isobel Vickers, and also her family, who are great friends of Roger’s. Toward the end of the novel, Isobel’s and her family’s connection to the Deadmarshes, and the creatures hunting them, is revealed in a rather dramatic way to Roger. And this turn of events leads directly into book two, which is set on a desolate rock called Cutwater Island. Here there be sharks. That I’ve included them in this story isn’t surprising, given that I once wanted to be a marine biologist, and would have done, if that darn wizard with the long grey beard and big pointy hat had just kept his wisdom to himself. When I’m not writing, I enjoy spending time with my loved ones, reading, and watching films. I am also a classically trained soprano/violinist/pianist, although I do not perform as much as I used to when I was younger. Still, it’s nice to be able to lose myself in music whenever the need takes hold. Who is your favourite character in Deadmarsh Fey? It’s a tie between Roger and Kip. This might sound a little odd, but I felt like I became Roger when I wrote Deadmarsh Fey, since the story is told through his eyes, and experienced everything along with him. It was a very surreal and rewarding and exhausting experience. But I still feel quite close to that little dynamo, especially because I put him through many terrible ordeals and nearly gave him (and myself) heart failure on several occasions. And then there is Kip, who is not only one of my very favorite characters in Deadmarsh Fey, but most likely my favorite character of all time that I’ve ever written. I feel as if Kip just presented himself, with all his history and gravitas and personality, and dictated his role in the story to me, mind to mind. I was always excited to craft scenes in which he featured, because I knew he’d take over. It seems uncanny, I know, but with Kip, all I had to do was give him the floor, because he essentially wrote himself. I also have a soft spot for Incendiu, but I can’t say much about him without spoiling his role in the story. His presence, however, hangs over the novel almost from the beginning, and getting inside his mind to discover what made him tick—and why he and a certain other character had been at loggerheads for more years than I care to mention—was one of my favorite story arcs to develop when crafting the book. What was your favourite part of writing Deadmarsh Fey? Discovering things along with Roger. And finally being able to put scenes down on the page that had been racketing around in my brain for years. This novel is a prequel to a fantasy trilogy (started out as a duology) I began writing in 2003. That set of books takes place 40 odd years later, and features several characters from Deadmarsh Fey, along with a heavy dose of intrigue and peril as a result of what happened in these prequel books…which I hadn’t even written yet! Wanting to know exactly why things had turned out the way they had, what had led the characters to this point and made them who they were, was too insistent of an idea to ignore, and Deadmarsh Fey is the result of this curiosity finally being satisfied. There are also a few chapters in Deadmarsh Fey that I might have taken a bit too much (fiendish) glee in plotting and writing (Now Face-to-Fey and Warnings and Visitations spring to mind), but overall, the entire book was an experience for me. It made me grow as a writer, and also taught me to not get too attached to scenes or any other snatches of writing (dialogue in particular) to the detriment of the story. In other words, what didn’t work was scrapped, and the novel ended up being much better because I had gotten out of my own way and hadn’t tried to force things. As with Kip, after a certain point, the book also began to write itself. Don’t take this to mean that I’d walk into my office to find Carver or Incendiu or Roger or any other character, sitting at my desk, cackling in delight as they pounded away at the keys of my laptop, churning out the story. But once all the elements and legends and backstory had been woven together, everything clicked, and the novel took off. That didn’t mean all was sunshine and roses from that point forward. I was juggling several story arcs that needed to be resolved to make the ending (and successive novels in the series) viable, but I was excited to get to work on it each day because I knew the direction the book had taken was the right one—the one that was meant to be. CHOCOLATE! I think the all-caps enthusiasm of that answer speaks for itself! I publish in both formats, and do own a Kindle, but I prefer the feel of a book in my hands when reading. So, paperback! I had a wonderful little dog named Puckie for 17 years, but I also love cats, which is the reason for Kip being in Deadmarsh Fey. I’m partial to both. Where I live, summers are unbearable! I definitely prefer winter, although my favorite season is Fall. I love the crispness in the air, the glorious burnt orange and golden hued leaves, the carte blanche I feel I have to read all the Classic horror books I want and pass them off as “seasonal reading” without making everyone wonder if I’ve been bitten by a vampire and developed rather bloodthirsty tastes in literature. Plus, Fall also means it’s time, once again, to bake these delicious chocolate chip pumpkin spice cookies that have become a tradition with me over the last eleven years. Get Corcitura for Free This Weekend!